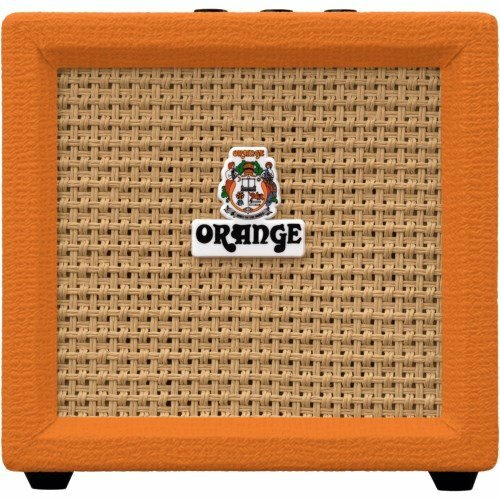 The Orange Crush Mini has been redesigned to give you classic Orange tone in a small, lightweight amplifier. Whether warming up backstage on the road, at practice, or in your bedroom, the Crush Mini is the perfect companion.The redesigned control panel gives you full tonal control with gain, shape and volume. Backing off the gain and pushing the volume up results in British crunch, while pushing the gain up will give you searing high gain. The shape control, like the Micro Dark, cuts or boosts the mids, giving fat mids through to scooped tones.A new feature for the Crush Mini is the 8 Ohm speaker output. Using the preamp stage of the amp, you can plug directly into an external speaker cabinet to open up even more tonal capabilities.The Crush Mini features a built-in tuner, as well as a headphone output that cuts the speaker for silent practice. The AUX IN makes playing along to your favourite songs is a breeze!Versatile, Simple ControlsThe Crush Mini uses three controls: volume, shape and gain. Giving you a wide range of tones; The gain can be backed off and the volume pushed up to gain crunch tones. Then the gain brought in more to add more high gain distortion, with the shape being used to fatten or scoop your sound.Speaker OutputPlugging a cabinet into the speaker output turns the Micro Crush into an amplifier for your cabinet.Headphone OutputConnecting headphones disengages the speaker output for silent practice.Aux-InPlay along to your music with the Aux-In input, to give you a portable practice rig.Built-In TunerSimple, easy to read, built in tuner, makes the Crush Mini a great all-in-one amplifier.Get your Orange Amplification Crush Mini 3-Watt Battery Powered Guitar Combo Amplifier today at the guaranteed lowest price from Sam Ash Direct with our 45-day return and 60-day price protection policy. 3-watt battery powered amp for Orange tone on the go! If you have any questions about this product by Orange Amplification, contact us by completing and submitting the form below. If you are looking for a specif part number, please include it with your message.